To some people, ritual is a bad word. Many folks recoil at the religious association, even though most rituals aren’t religious. For others, the thought of following set, predetermined actions makes them feel boxed in. But rituals are inescapable. We are creatures of memory and habit. The only question is whether our rituals are intentional and useful or mindless and counterproductive. It’s best to think of rituals as prescribed procedures for achieving specific results. They don’t guarantee results, but they do set us up the best possibility of success. 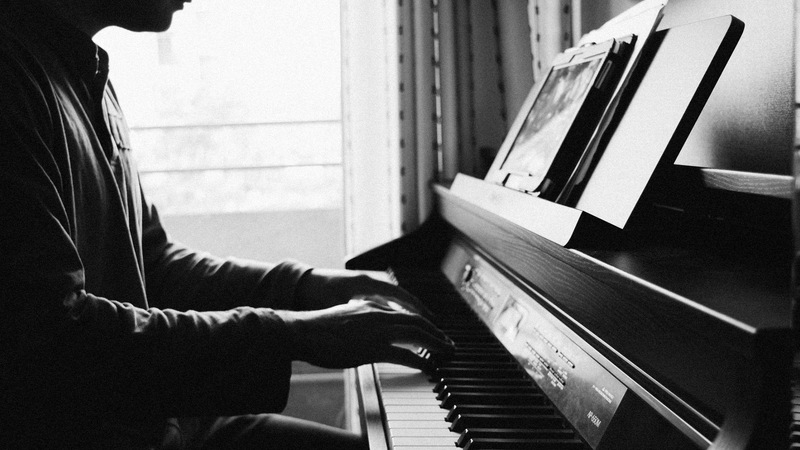 When students first learn to play the piano, teachers have them run the scales. Why? “Piano scales help the pianist develop … comfort and mastery of the piano,” explains instructor and author David Graf. Scales are prerequisite for peak performance and improvisation. But have you noticed that even accomplished pianists will often run through these scales before serious playing? I enjoy golf. I’m never going to play on the senior tour, but I do want to play my best. To help me improve my instructor coached me through building a pre-shot ritual. I approach the tee in a particular way and work through a series of checks and adjustments every time. I once counted the individual steps and identified nine different components to my ritual. The whole point of the ritual is as much mental as physical. I’m not just fine-tuning my stroke, I’m also conditioning my mind for the best possible shot. By dropping into the groove, I get out of my own way. I think that’s true across all areas of life. Some CEOs are famous for their rituals. We naturally develop rituals around our daily activities: getting ready in the morning, exercise, starting work, and so on. The problem is we’re not always aware we’ve created one. We created this free, downloadable Build-Your-Own Ritual Kit™” to help you reengineer your routines and streamline your day. Optimized rituals help put you in a mental and physical groove for high performance, whatever you’re doing. You’re lined up for the free-throw or the workday with far fewer distractions. Optimized rituals allow you to perform at a predictably high level. The routine leaves less to chance, so you can focus on performing your best. Optimized rituals stop you from overthinking, so you’re not constantly engineering and reengineering your entire performance. This frees you up not to worry about whether you can perform but simply on how best to do so. Optimized rituals also allow you to upgrade your performance because you’ve broken apart the individual steps. You can focus on tweaking them individually. Optimized rituals can give you a sense of purpose and confidence. By working your ritual, you set your mind and body at ease and take control of what you can control. “Now I’m ready,” you say to yourself before you rise from ritual to challenge. That’s why even the most seasoned players run their scales before performing. Rituals do not have to be of the highest order to improve our lives. In fact, the surprising power of daily rituals is found in optimizing our basic routines. Most of us have a morning ritual of some kind. Same with a workday startup ritual. We go through certain steps in pretty much the same order. Are we aware of it? Can we improve it? I’ve created a Build-Your-Own Ritual Kit™ you can download here to start optimizing yours today. Better, more intentional rituals are a simple but powerful tool for improving our lives.